You might think your storage room isn’t very important. It’s just a place where you can hide the things you don’t need but don’t want to throw away and store stuff that are only needed in special occasions such as Christmas decoration, extra chair and table for the parties and more. Actually, this is the very reason your storage room is so important. A lot of people would love to have an extra room to store things that are rarely used and with that particular extra room you can have the choice to hide things in a safe place rather than throwing them away or leave them scattered everywhere. Although storage room is important and useful, it is always left looking unsightly, unappealing, sometimes even messy. And because it’s a place where you hide stuff is precisely the reason people prefer it be left unseen, out of sight or invisible if not needed. Our client who is just fortunate to have an extra room turned it into a storage room, but, unlike the typical storage room that we usually see our client want to make it as stylish and well organize same as the other room of the house. Firstly, our client starts with a stylish door type something beautiful and at the same time efficient starting from the outdoors just like folding doors. 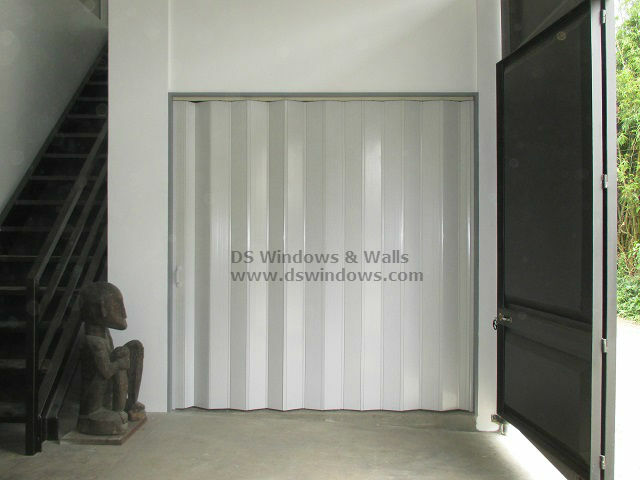 Our client specially opted for Deluxe folding door with white ash color. Folding door is well known as a space saver door type, but, other than that, it’s also great in terms of their fashionable appearance. As you can see in the photos a simple and plain white folding door were installed in a storage room yet with its simple appearance it generates a classiness feeling. The wood finish imitation appearance also adds to its elegance plus because it’s made of PVC materials it’s more durable and inexpensive compared to other door type offer in the market today. Folding door will always be a smart choice in terms of functionality, durability, cost and appearance compared to other door types. 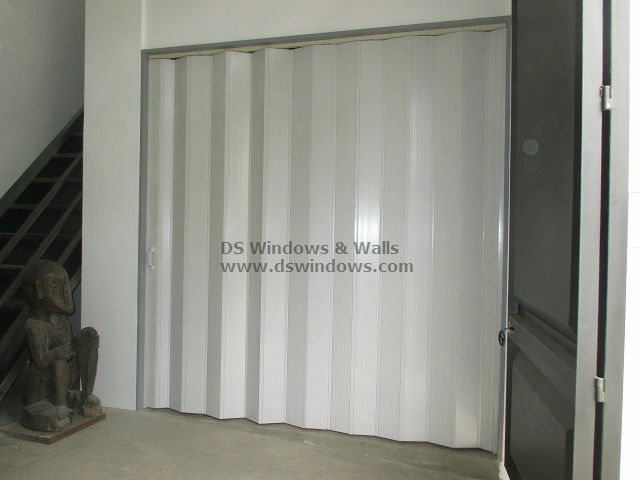 But the biggest advantage of folding door is its space saving ability that’s why it is very suitable for storage room. Other types of door like push & pull, or sliding doors takes up space and not as efficient as our folding doors.